Playoffs in the minor leagues certainly present an interesting set of circumstances. 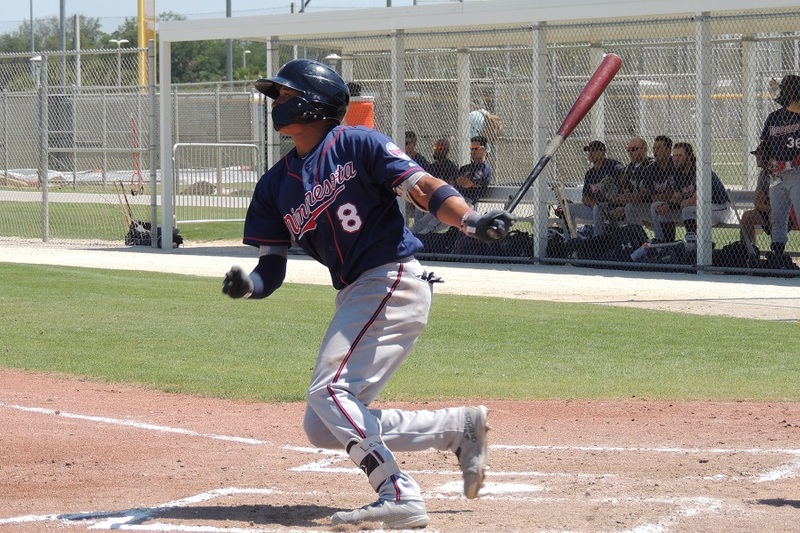 Throughout the minor league season, players can move up and down throughout a team’s roster. Some of the players key to a team qualifying for the playoffs might not even be around for the team’s playoff run. That being said, there was plenty of playoff action for the Twins system. The E-Twins already took home their second consecutive Appy League Championship. Cedar Rapids and Fort Myers were looking to join the championship parade. After taking the first two games of the three-game series, the Miracle were looking to sweep the Tortugas to take their second FSL championship in five years. Unfortunately, the offense would be few and far between for Fort Myers. With one out in the first inning, Brusdar Graterol surrendered a walk and a single before a double drove in the first run of the game. On the same play, Alex Kirilloff hit the cut-off man, Travis Blankenhorn, to nail the second runner at the plate. Graterol allowed three singles in the third as Daytona pushed their lead to 2-0. Overall, Graterol allowed two earned runs on seven hits. He struck out six and walked one. The Miracle finally broke through in the sixth inning as Royce Lewis lead off the inning with his second home run of the postseason. In the bottom half of the inning, Ryan Mason took over for Graterol and quickly gave back a run. He’d end up pitching two innings while allowing one run on two hits. He struck out three and walked one. Lewis struck again in the eighth inning with his second solo-shot of the game. Fort Myers was within a run of tying the game but that’s as close as the team would come. Colton Davis struggled in the eighth inning as he allowed three runs to score on two hits and two walks. Fort Myers has another shot at clinching the FSL Championship on Monday night. Cedar Rapids nearly took the first lead of the game in the top of the third inning. Trey Cabbage tripled to start the inning but he was thrown out at home during the next at-bat. Akil Baddo grounded to second base and Cabbage broke for home but didn’t make it. One big inning spelled the end of the Kernels season. With Blayne Enlow on the mound, the first two batters reached to start the problem. He struck out the next batter but than he hit a batter to load the bases. Three straight singles and a wild pitch saw five runners cross the plate. The Kernels wouldn’t have a batter reach third base the rest of the game. Cedar Rapids went 0-for-5 with runners in scoring position and left seven runners on base. Ryan Jeffers and Ben Rodriguez both went 2-for-4. Melvi Acosta pitched four shutout innings out of the bullpen as he only allowed three hits. Moises Gomez pitched a perfect final frame by striking out the side. So much for Lewis finishing the season cold. What a game from Lewis.And another good game at the plate for Miranda.Add in a good start from Graterol and they had a chance.Unfortunately, not a lot going with the bats anywhere else in the lineup.Let's get it done tonight rather than going to game 5! What a wonderful season for the Kernels.Congrats!Too bad they couldn't extend it one series further and play for the championship.Was a long summer for lots of those college guys who began playing back in February.Many will get a couple weeks off before reporting to instructs.Lots of talented prospects in this group that will be exciting to watch next year and beyond. "So much for Lewis finishing the season cold." YES! Lewis has kept a positive frame-of-mind, concentrating on good defense. The bat came around. Looking forward to the Lewis/Kirilloff Show in AA next year. Headline for September 15, 2019: Chattanooga Lookouts win AA Championship Fingers crossed. Southern League Flags Fly Forever.